Did I stamp these flowers correctly? I have no idea, but I like the "artsy" feel of the card. 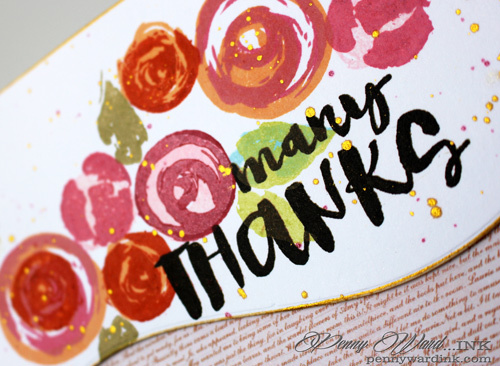 Using a little designer paper at the bottom, I edged the whole card in Delicata Golden Glitz. 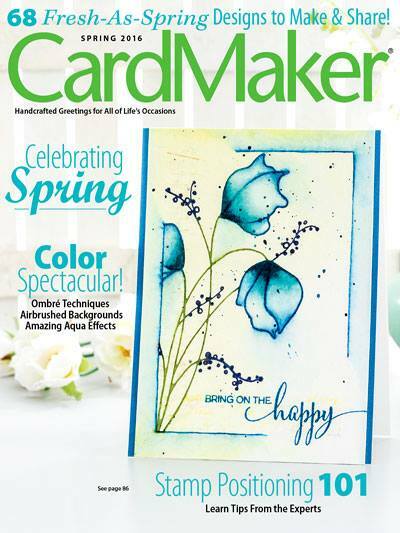 The flowers were stamped with Simon Says Stamp new inks Melon & Hollyhock, as well as Burnt Orange and leaves have just a tad of Surf Blue. I also used Memento Angel Pink on a couple of the flowers for a little color variation. Hollyhock was flicked across the card front as well as the Golden Glitz, because after all, it needed a little shine. I can see using this set a lot as it has ice cream, tiny flowers, a slice of lemon and some really cute sentiments. Background was embossed with Geometric folder. I then die cut the ice cream and boat, inked them up and stamped the boat with the end of a "cone" stamp. Amplify! White was added and heat set for the look of whipped cream. I hand cut my own wooden spoon, then added the sentiment. When I originally did a sneak of this stamp set on Facebook, my dad (89 years old) thought it was something to eat. My sneak was of the flower card above. Gotta love him! However, after looking at the stamp, I decided he was right. I could turn that small artsy flower into a cinnamon roll. 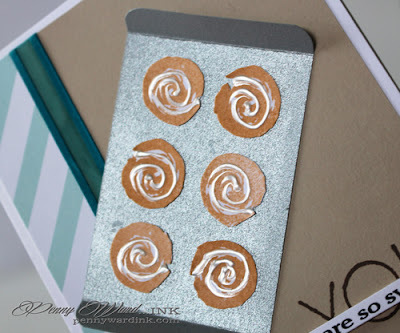 Shiny silver card stock was used for the pan. Flower was stamped and fussy cut 6 times, then White Opal Liquid Pearls was added for the icing. Now that is a way to maximize your stamps! I hope you enjoyed my creations using The Color of Fun by Simon Says stamp. It's Friday and I would love to welcome a few newbies to my blog. Thanks ever so much for taking the time to visit and comment. These newbies with blogs of their own have a link in their name. Check them out...you never know where new inspiration will come from. Fantastic designs, Penny! My favorite is your first card - LOVE the flowers and the tiny script underlay! Penny, DARLING, we must talk about these jaw-droppingly pretty and cool cards!! The first one, does indeed, have an incredibly beautiful ARTSY feel to it - it is SO LOVELY!!! Love the styling and , just so awe inspiring!! 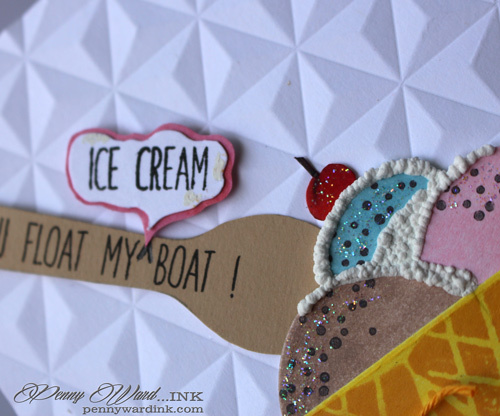 The ice cream one with that funky and cool background -- so much texture and yumminess on ONE card!! Super cool and clever the details you added!!! And as for your last card - yes, I will have a cinnamon roll, thank you - so fun and clever beyond words!! 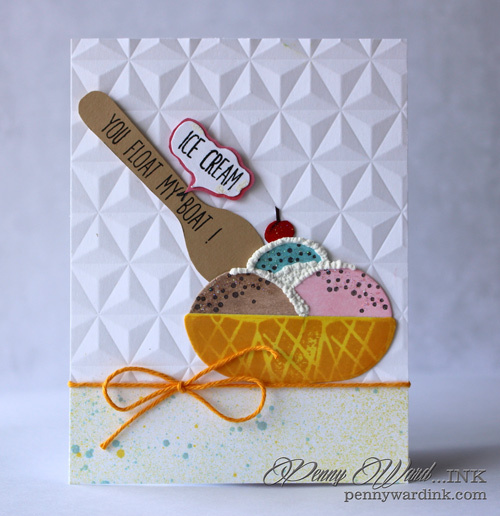 Loved seeing your amazing use of this new Simon Says Stamp release!! That first card is absolutely stunning... and to tell you the truth: there is way too much news in this post to digest! Wow! And to make the roses into cinnamon rolls - you are ingenious. And your Dad is, too! 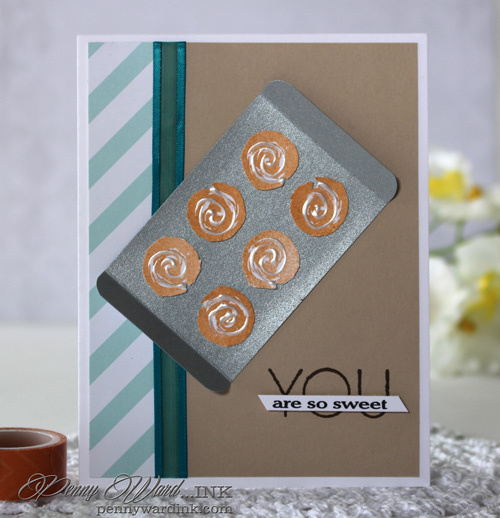 The geometric embossed background is a real eye catcher, I have to say... What an amazing set of cards! You are amazing .. and so are your cards!! That's all!